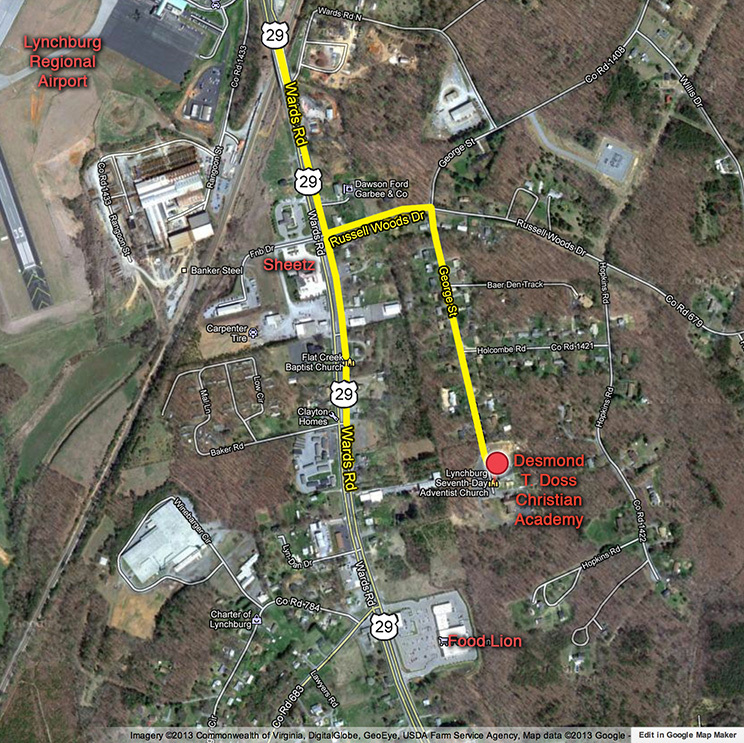 From U.S. 29, turn at the intersection with the Sheetz gas station onto Russell Woods Drive (see map below). Then take the first right onto George Street. Drive to the end of the street to reach Desmond T. Doss Christian Academy.